Amangiri would not exist were it not for “conviction”- a firmly held belief that discerning travelers would come to the Colorado Plateau for Aman luxury set against an iconic landscape. 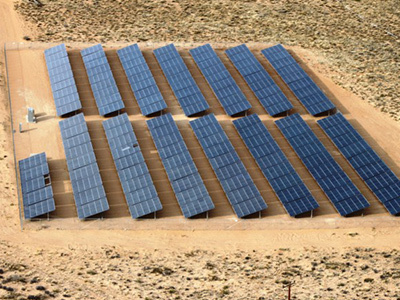 This same vision lies behind the latest installation of Amangiri’s two and a half acres of solar photo voltaics (PV). This is a story about taking the initiative when it comes to clean and renewable energy, with a practical demonstration before an engaged audience. 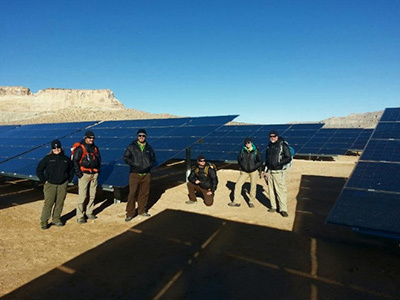 Adventure Partners’ guides now have an opportunity to encourage further exploration of solar energy opportunities as we explore the property and respond to guest questions about the system. How large is the system? It’s a 500kW system using 2496 Sunpreme High Quality Double Glass Panels. Each one can generate ~ 1.2kWhrs/day under ideal conditions. Where else does Sunpreme have solar installations in the world? Sunpreme has deployed its solutions across the US, including Puerto Rico, and in Australia, China, India, Israel, Nigeria, the Philippines, Qatar and Saudi Arabia. Describe these panels? Designed and engineered here in the US, they are double glass construction to ensure higher reliability and high efficiency performance in combination with superior aesthetics due to their thin, frameless profile. How much power will be produced? The solar system will produce over 900,000 KWh or 900 MWh annually (which would power 300 single family homes) with 25 years of power warranty. For reference, a 100kW solar system generating clean energy for 25 years would prevent 2,600 tons of CO2 from entering the atmosphere, which is the equivalent of…removing over 500 automobiles from the road. Will Amangiri save money in the long-run? 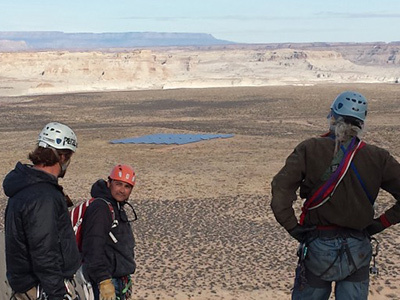 Yes, Amangiri opted for a life-cycle approach for their solar project, which maximizes savings while minimizing the resort’s carbon footprint. The energy generated is consumed entirely by the Amangiri Resort and is not fed back into the grid. Is solar becoming more affordable and popular? Absolutely. Two thirds of all solar PV capacity in place worldwide has been installed since January 2011. It took nearly four decades to install 50 Gigawatts of PV capacity worldwide. But in the last 3 years, the industry jumped from 50 Gigawatts of PV capacity to just over 100 Gigawatts. Click this link for real time performance of the system at Amangiri. 7. How did you decide the optimal orientation and angle for the panels? The array is oriented to exactly South and the tilt angle is kept at 20 degrees to maximize energy production. Optimal angle is decided using an energy simulation software (PVSyst) that provides accurate predictions of annual energy generation. Renewable energy — wind, solar, geothermal, hydroelectric, and biomass — provides substantial benefits for our climate, our health, and our economy. This installation is both a functional statement of how sustainable destinations can be developed, as well as a tool to initiate discussion on the application of solar technology.